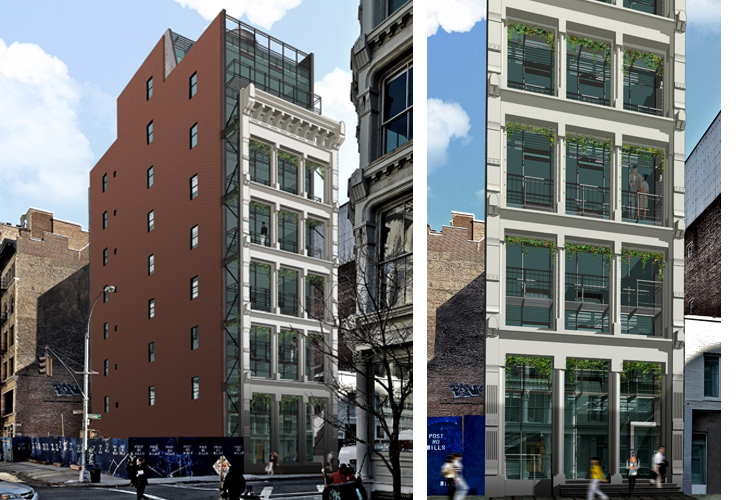 This project, for a new building in the SoHo Cast Iron Landmark District, called for the re-use of a cast iron façade. The façade, a superb example of a unique architectural heritage, was salvaged from the building that once stood on the site. The design challenge was to reconcile the high ceilings and irregular floor-to-floor heights of the mercantile loft building, built during a pre-building code era, with contemporary economics, building systems, code and residential requirements. To rebuild using the original floor-to-floor heights and aligning the new floors with the old façade was not economically feasible, as a code compliant, two-stair egress layout would use up much of the narrow site’s limited space. The design solution positioned the volume of the new building back 8 feet from the historic façade and original street wall. This created a space between the historic and the new that mediated the dimensional differences between the original façade and the new vertical arrangement. The zone between the façade and the new building bridged the historic and the contemporary, both literally and figuratively. 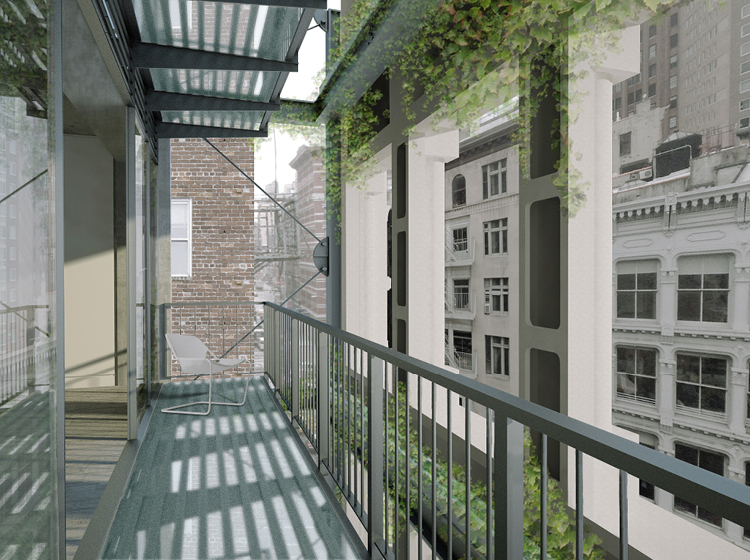 At street level the space becomes an entry courtyard, and above, a vertical garden that is partially open from ground to sky. Balconies in this space reference the iron fire escapes of the Historic District. This configuration does not conceal the struggle to salvage and resurrect the historic facade. It is a philosophical position as much as a practical decision.